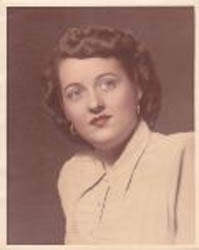 Mrs. Bernadine Ann (Stankunis) Reed, 82, of Coaldale, Pa., passed away on Friday, Jan. 11, 2013, in Fort Worth, Tex. She was a daughter of the late William and Anna (Sincavage) Stankunis. She was born in Coaldale and attended Coaldale High School. Shortly after high school, she left for Washington, D.C., to work for the federal government. Here, she met and married a military man and moved to Pocatello, Idaho, to raise her family.After living many years in the western U.S., she transferred back to New Jersey to be near her parents in Pa.
She worked for NL Industries for 25 plus years and at age 55 retired early to take care of her widowed mother in Coaldale. During her retirement in Coaldale, she served as town treasurer and was very active with SS. Peter and Paul RC Lithuanian Church, Tamaqua. Surviving are a brother Bill of New York City, N.Y.; a daughter Kathy of Murrieta, Calif.; a son Gene, and his wife, Judy, of Fort Worth; two grandchildren and two great-grandchildren. Service: Per her request, a memorial service will be held at 10 a.m. Saturday, May 4, in SS. Peter and Paul Lithuanian Catholic Church, Tamaqua. Contributions in her name may be made to SS. Peter and Paul Lithuanian Church, 307 Pine St., Tamaqua, Pa. 18252. The Neptune Soc., 4101 Airport Freeway, Fort Worth, Tex., is in charge of the arrangements.